Hilsa fish cooked in red chili curry. 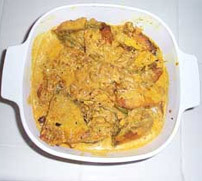 Bengali specialty. Hilsa fish is considered to be one of most favorite and delicious fish in the world. 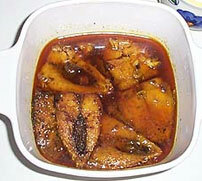 It is the most popular fish to the Bengalis who call it as Ilish. It is found in Indian sub-continent & especially in Bangladesh. In North America, you will get a fish called American Shad. Shad is similar type of fish to Hilsa . 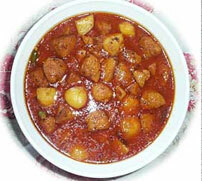 Curry of spicy balls made of ground Chitol fish. Bengali delicacy! 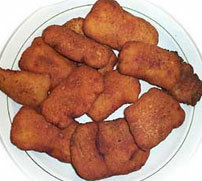 Fish fillet deep fried in batter. Very tasty. Must try it out.A very tasty and easy to cook snack at tea time. Also known as choto macch er chachra (spicy small fish). 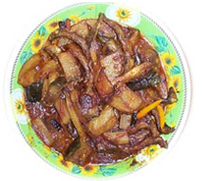 Smelt fish is usually available in Chinese market; you can substitute with any other small fish. Fish cooked with mustard paste and green chilies. You should use big fish like grass carp or rehu fish. 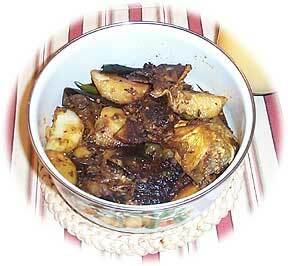 It is the most popular dish for Bengalis, and is a delicacy in East India.